Free CARFAX Available! 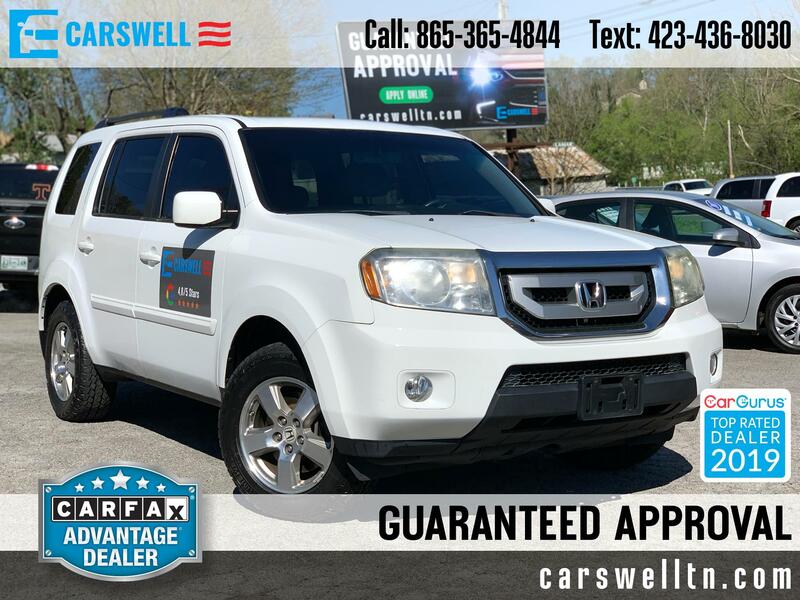 White 2011 Honda Pilot EX-L 4WD 5-Speed Automatic 3.5L V6 SOHC i-VTEC VCM 24V Extended Warranty Available. Priced below KBB Fair Purchase Price! Odometer is 13977 miles below market average! Get Financing Approved Today! Awards: * 2011 KBB.com 10 Best Used Family Cars Under $15,000 * 2011 KBB.com Brand Image Awards 2016 Kelley Blue Book Brand Image Awards are based on the Brand Watch(tm) study from Kelley Blue Book Market Intelligence. Award calculated among non-luxury shoppers. For more information, visit www.kbb.com. Kelley Blue Book is a registered trademark of Kelley Blue Book Co., Inc.